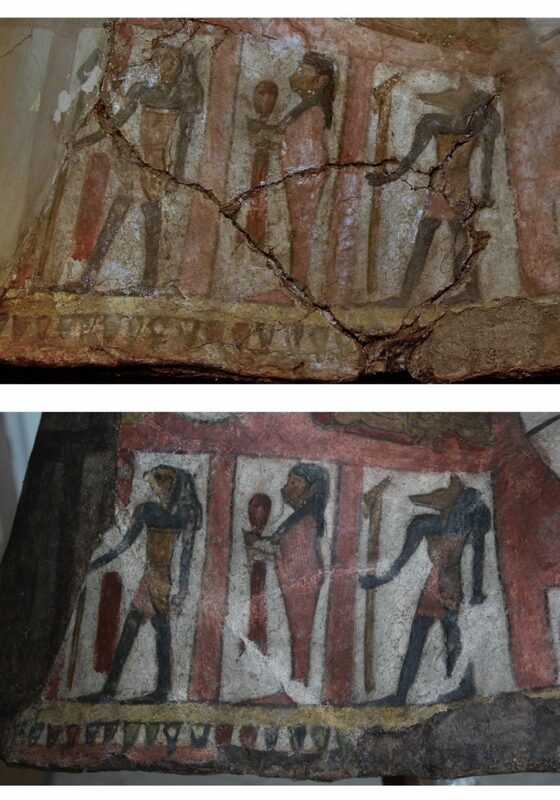 An Egyptian coffin lid made from a mixture of Nile mud and straw, moulded into form and coated with plaster entered the Collection of Egyptian Antiquities of the Museum of Fine Arts from the natural sciences storeroom of the Premonstratensian Secondary Grammar School of Szombathely. 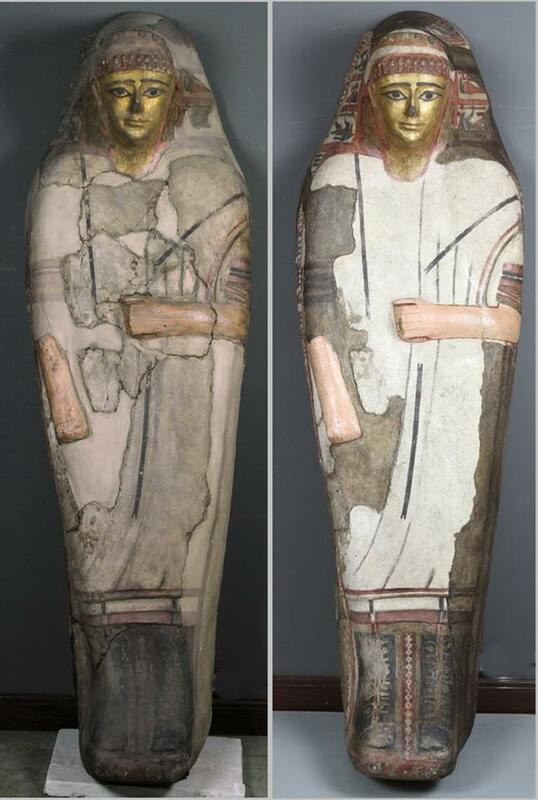 The piece originating from the years around AD 1 is made special by the fact that it belongs to an Akhmim Coffin type depicting the deceased as a living person, wearing a white tunic and robe worn by him in his life, while his mask-like, gilded face alludes to his deified state in the afterlife. 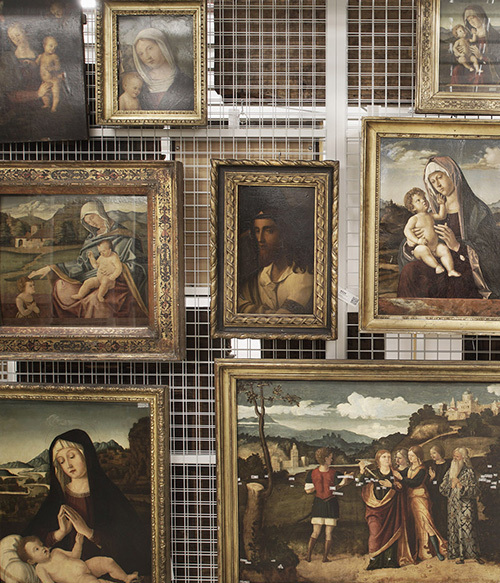 The newly restored artefact can be seen in the new permanent exhibition of the Collection of Classical Antiquities. 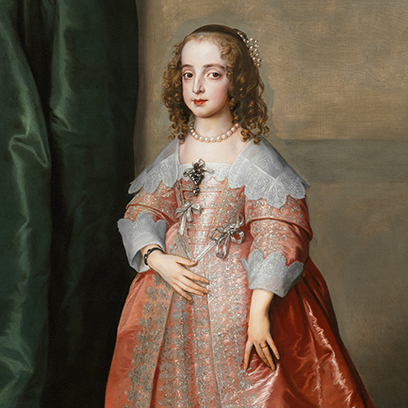 The restoration of the object was especially challenging because of its material, as it was made of cartonnage instead of the more common wood. The composition of cartonnage varies a lot; in this case it is a mixture of clay and dry, chopped up plants, which most closely resembles adobe. 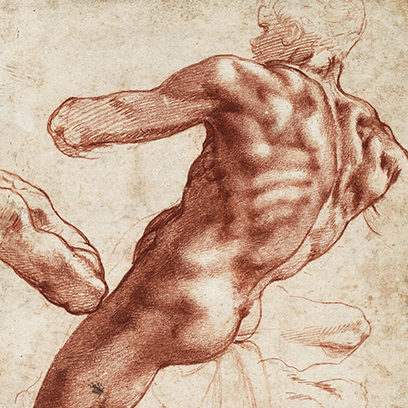 The mixture was kneaded together, flattened and presumably used to coat the mummy (or a pre-made mould). When the mixture died out, the final shape was an anthropoid coffin. After being primed with white chalk coating it was painted, and the face was then gilded. 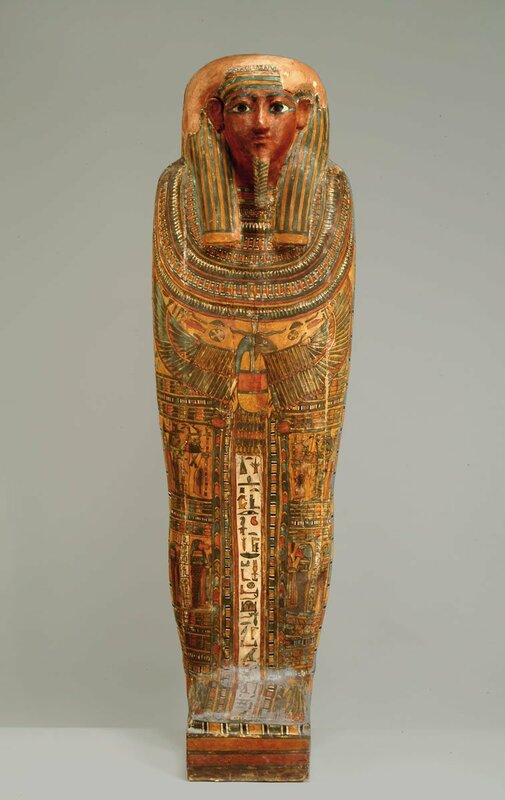 The deceased of this coffin wears a Roman tunic, an ornate head band, a ring on his finger, laced-up sandals and depictions of Egyptian gods on the side. 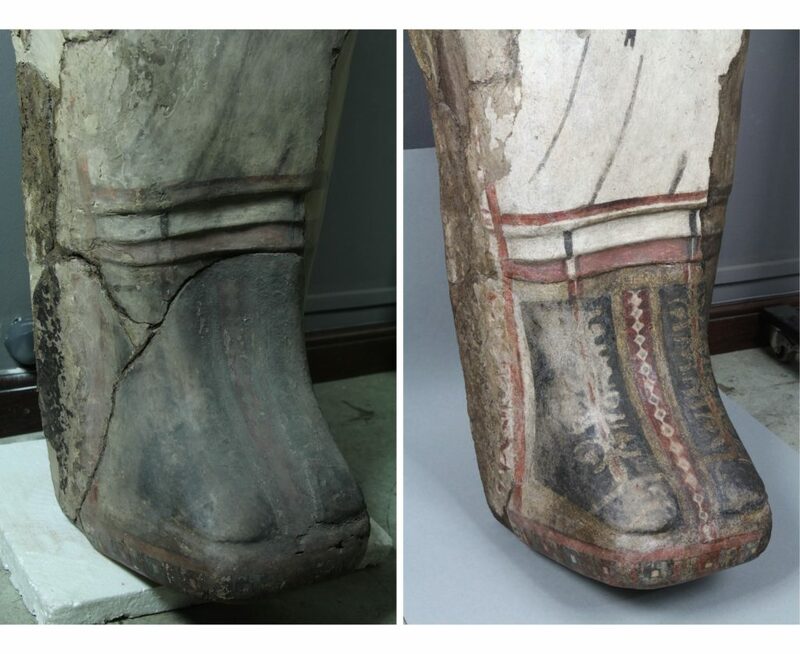 The sole is painted with rectangular decoration typical of earlier Egyptian coffins. When the artefact was restored fifty years ago, its fragments were fitted together and it was reinforced at the back with pieces of cloth (so it looks like a patchwork from the inside). The missing parts were filled in with cardboard, plaster and synthetic resin and then stiffened with copper wires and wood. Since the structure of the sarcophagus remained relatively stable, the restorers kept it but the surface was extremely stained and started to flake off, necessitating intervention. The previously badly-fitted-together pieces were levelled out with careful wetting and pressing, and the stains were removed. The spots and trickles of paint left over on the restored parts from the previous restoration were dissolved, and the unnecessarily thick layer of resin on the back was also cleared off since its shrinking induced the physical weakening of the object. 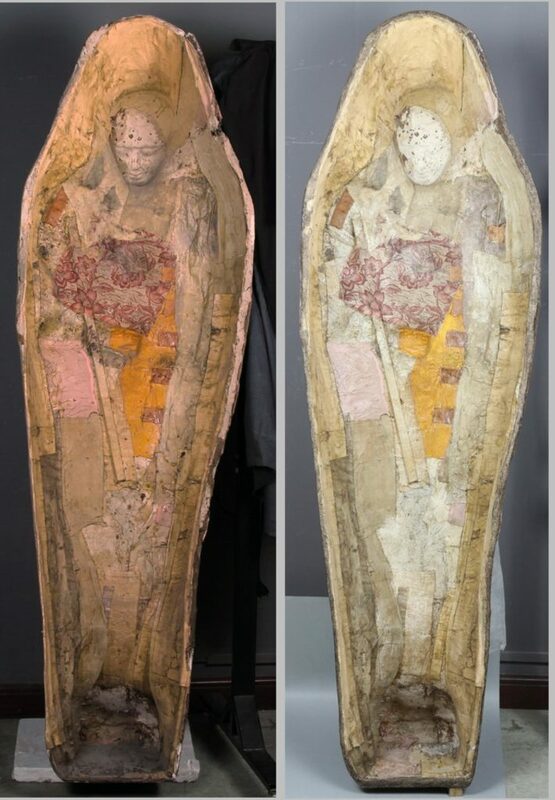 Since the painted surface was worn all the way down to the layer of the carrier medium, the brownish adobe-like material showed in many places on the side of the sarcophagus. The restorers decided to make the reconstructed bits similar to these, as if the paint had worn off them too. Although the object is still fragmented, the beauty of the remaining parts can be far better appreciated. 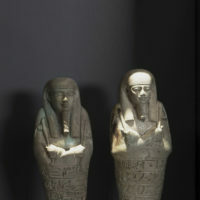 The figures of Egyptian deities around the head are nicely discernible, their clarity and colours making the white tunic, the folds, the straps and the footwear easier to make out too. 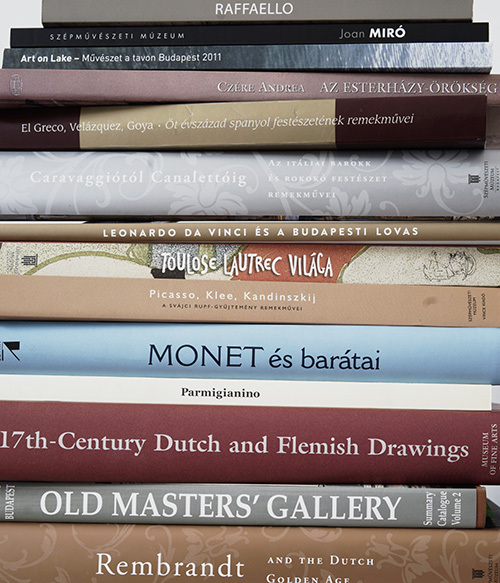 If you want to find out more about this interesting artefact, read Éva Liptay’s article in the Bulletin of the Museum of Fine Arts.